The RYOBI Expand-It Family offers a variety of attachments, giving you the ultimate versatility in tool selection to get your yard maintenance finished. This system saves you money, time and space. 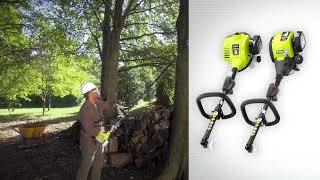 All RYOBI Expand-It Attachments are compatible with RYOBI 40V X, 2 Cycle Gas and 4 Cycle Gas Power Heads.